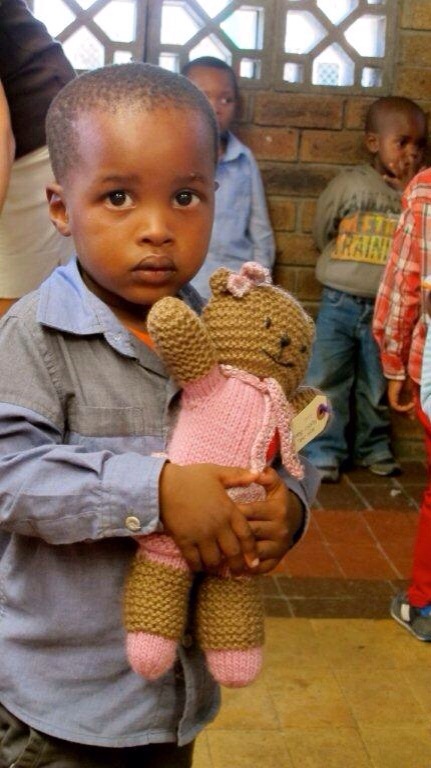 One of my bears, Eve, was recently sighted in South Africa! Last year I sent 12 bears to the Mother Bear Project, and lately I’ve found several of them with their new owners. There’s nothing like seeing my bears in the hands of children who need some comfort to keep me at it! 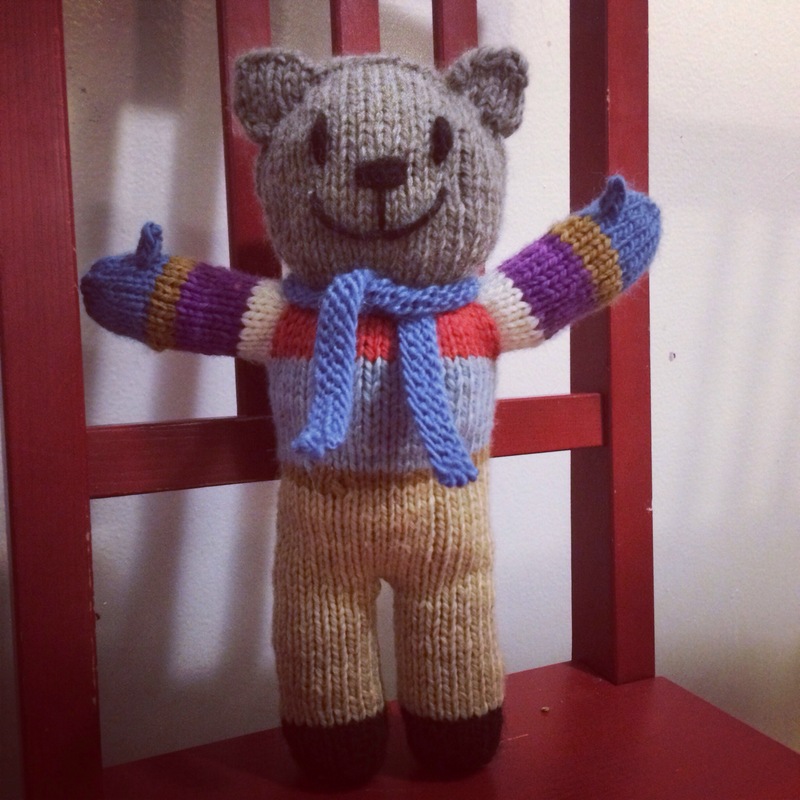 Case in point, I have finished my 23rd bear, which, following alphabetical order, is W-named. He’s knit with yarn left over from a group Dr. Who scarf project, so I’ve named him the Doctor. He has blue mittens because space can be cold, and also because I used up every last bit of the bear-colored yarn on the head. I am rather geekily pleased with this one, and immediately casted on for another (non-geeky) bear! Thanks! I can’t get enough of them! !